New characters from the soon-to-be-released Disney•Pixar film “Toy Story 3” are being added to the joyful, toy-full adventure of Toy Story Midway Mania! at Disney’s California Adventure and Disney’s Hollywood Studios. In addition to playing with new characters in Toy Story Midway Mania!, there will be opportunities in both parks for up-close fun with another all-new character from “Toy Story 3” – Lots-o’-Huggin’ Bear. He’s the bossman at Sunnyside Daycare in the highly anticipated animated feature film. Starting in late May, Woody, Buzz, Mr. Potato Head and the gang are joined by a whole new set of characters from “Toy Story 3.” The new game greeting guests, “Rex and Trixie’s Dino Darts,” invites riders to shoot their virtual darts at all-new balloon targets in a primeval world filled with volcanoes and lava balloons, explained Sue Bryan, senior show producer, director, Walt Disney Imagineering. 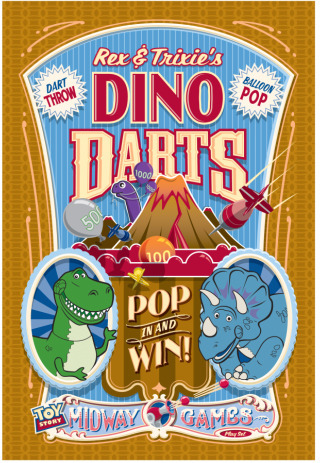 Game players are welcomed by Rex (the nervous Tyrannosaurus rex) and his new friend Trixie (a blue Triceratops and one of the toy characters from the new film) cheering them on. The new game (it replaces “Bo Peep’s Baaa-loon Pop”) turns up the fun with more hidden surprises and the potential for volcanic levels of excitement. The “Hamm & Eggs” game will now be hosted by Hamm and Buttercup (a toy unicorn with heart-shaped nostrils). In the prize scene, Trixie, Buttercup, Dolly (a doll), Mr. Pricklepants (a lederhosen-clad hedgehog) and one other surprise – all from “Toy Story 3” – will appear with Woody and Jessie. New York Yankees pitchers C.C. 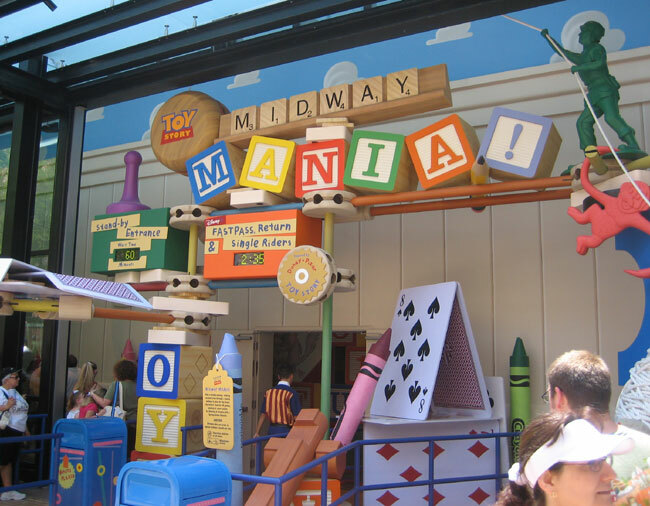 Sabathia and Joba Chamberlain experience three dimensions of fun on Toy Story Midway Mania!